Air Canada's premium passengers travelling from New York's LaGuardia Airport will from today have access to a new luxury Maple Leaf Lounge. 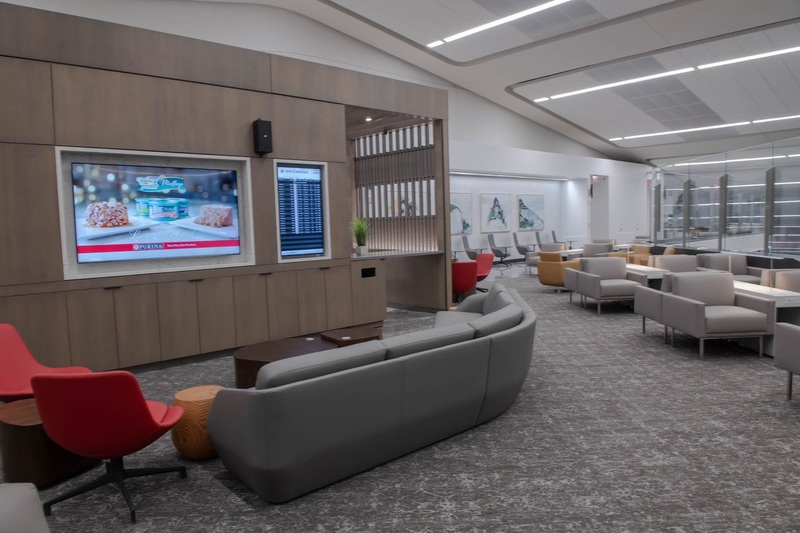 The carrier has opened its latest lounge, which is conveniently located after security near Air Canada's gates and is the first airline lounge to open in the new Terminal B Eastern Concourse. Then new luxury Maple Leaf Lounge features popular amenities, including refreshments and a business centre, so eligible customers can relax or make the most of their workday before their flight. 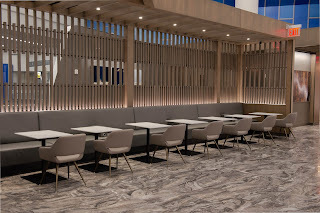 "We are excited to welcome Air Canada and Star Alliance eligible customers to our new LaGuardia Airport Maple Leaf Lounge, which has been created to enhance the overall travel experience for our premium customers," said Andrew Yiu, Vice President, Product at Air Canada. "Showcasing contemporary design and artwork, the lounge is decorated with maple wood screen walls, Canadian-made furnishings, yet it also reflects the unique character that is New York City. Customers will be warmly received and enjoy a calm environment in which to work or relax before their Air Canada flight." 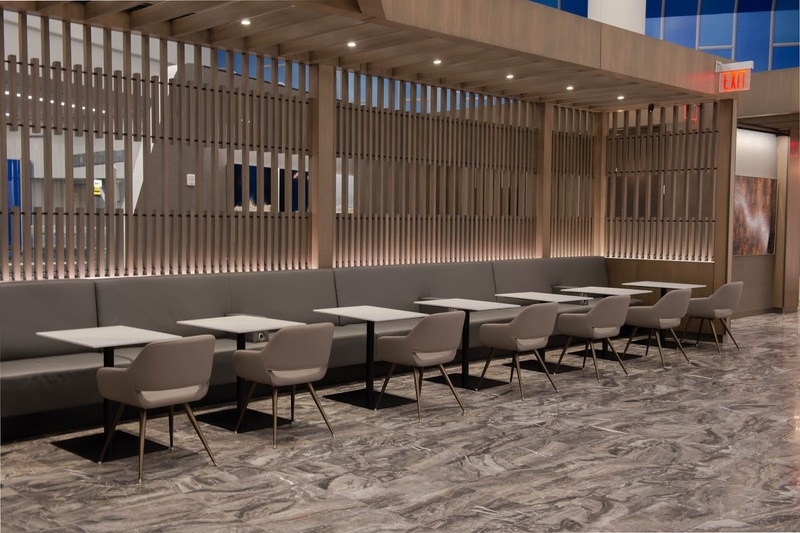 With capacity for up to 126 customers in an elegant space that overlooks the concourse, the new LaGuardia Maple Leaf Lounge combines Canadian design and art with metropolitan modern style. The 7,015-square-foot lounge features a self-serve bar, offering a wide selection of beverages, including Canadian wines and Lavazza speciality coffees, a business centre and comfortable seating with a view of the tarmac. Business travellers planning to work on site may also take advantage of a cyber counter equipped with PCs and colour printing, complimentary Wi-Fi and access to more than 7,000 digital newspaper and magazine content via the PressReader app. 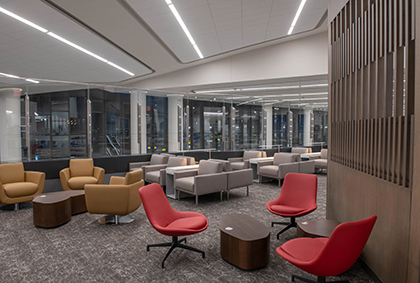 The LaGuardia Maple Leaf Lounge will operate seven days a week and is conveniently located in the departure gate area, on Level 2 of Terminal B Eastern Concourse, steps away from Air Canada's departure gates 49, 50 and 51. "Today's opening of the Air Canada Maple Leaf Lounge in the brand new Terminal B concourse is a testament to our vision to provide a world-class guest experience to travellers flying through LaGuardia's Terminal B," said Stewart Steeves, Chief Executive Officer of LaGuardia Gateway Partners, the operator and developer of Terminal B. "We're proud to partner with Air Canada to realize this vision, and we're ecstatic that Air Canada is one of the first tenants in the new concourse." Full airport details enclosed on LaGuardia's web site: https://docs.wixstatic.com/ugd/77a043_5be2c82aca94445b8e8be53285f3f9ab.pdf.